Camping Bonterra Park är en camping i Benicàssim, Castelló, belägen vid havet. Campingen har platser med stängsel, med skugga och platser med lite skugga. Camping Bonterra Park ligger i närheten av en sandstrand. Det finns möjlighet att hyra bungalows. På campingen finns en lekplats och ett sportområde. För den sportige semestervandraren har campingen guidade vandringsturer och olika cykelleder. Det finns ett ett fitnessrum. Campingen förfogar över en utomhusbassäng, en inomhusbassäng med skjuttak och ett knattebad. I den närliggande omgivningen kan du också simma i havet. I Camping Bonterra Park är det tillåtet att snorkla, vindsurfa och åka vattenskidor. Denna inspektör gör varje år ett besök på Camping Bonterra Park och inspekterar campingen för ca 200 faciliteter och för andra förekommande punkter. Inspektören är en medarbetare från ACSI och arbetar inte för campingen. Why: The area looked interesting and friends of ours had also decided to stay there. The site reviews were also positive. Location: A 10 minute walk from the centre of town. Benicassim is a small Spanish town which happens to cater for tourists. It is not overtly commercialised so you will not find the usual tourist shops selling ceramics and olive wood or boat trips or time share sharks. What you will find is a proper Spanish town with a range of normal shops, restaurants and supermarkets. The atmosphere is laid back and friendly. The sandy beach is excellent and you can walk along the promenade without being hassled. Check in – The office was staffed by three ladies all of whom spoke excellent English. Sadly, the site was full. Yes, full in mid September. An awful lot of British, and Dutch stay for the Winter. We were told that they might have space the following day and that we should return tomorrow. We decided to return about 9pm and were told that they would have some vacant pitches the following morning so we paid a deposit and returned as agreed. There were about 8 possibilities and we selected the one which best suited us. Pitches - Not overly generous. We selected one that was just big enough for our 7.5m van, awning and car. The surface is grey gravel and they are separated by hedges. The gold pitches have power, water and drainage and are available for the ACSI rate. They were operating a 7 night for the price of 6 deal – which was good. If you plan to visit during the second half of September beware. The annual St Thomas fiesta runs for 9 days. On the plus side you can join in various activities including Bull Running, fishing and dancing. There are lots of live musicians performing in various locations on different days. The atmosphere in town was great. On the downside the fiesta site is a 5-minute walk away which is handy but they have an open-air disco on at least 5 nights. This sometimes starts at midnight and runs till 5am. So, get yourself some ear plugs or party with the locals. If you are in town on the last night be sure to watch the street fireworks followed by a spectacular display on the beach. •	There were three shower blocks, one of which has been updated with new floor and wall tiles and fascia boards. The other two are showing their age but are kept clean. •	Swimming pools looked inviting with sunbeds around them. •	Bar and restaurant. This was popular for drinks and evening meals. Standard menu which includes pizzas, pasta, grilled pork with chips and steak. •	There is not a shop onsite but there is a mid-sized Mercado opposite the entrance. It stocked a good range of groceries and meat. There is also a Lidl a short walk away. •	Beach – is a 10-minute walk past a couple of restaurants and a small supermarket. The beach is sandy and the sea very shallow. You have to walk a good way out before you can swim. •	For 1 euro a day one of the Brits on site will connect you to his 2.5m satellite dish. So you can get all the UK TV channels. •	Short walk to the weekly market, bars and restaurants in town. •	Several walks and bike routes in the area including clifftop walk to Oropesa and the Park Naturel del Desert where there are good views of the coast. •	The site run regular trips to Valencia which is an hour away. •	Adult activities during Autumn include Aqua gym, Spanish lessons and Macramé classes. •	To be sure of a pitch you need to book ahead. •	Some traffic noise from the AP7. Would we use again – yes. Though we might not visit for the whole of the Fiesta period. A very nice place to linger during the Autumn. Vill du boka campingen Camping Bonterra Park eller få mera information? Det går bra med nedanstående uppgifter eller via campingens webbsida. 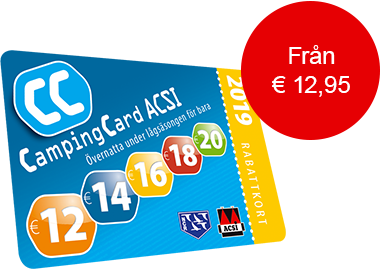 ACSI Eurocampings skickar din informationsförfrågan till "Camping Bonterra Park".